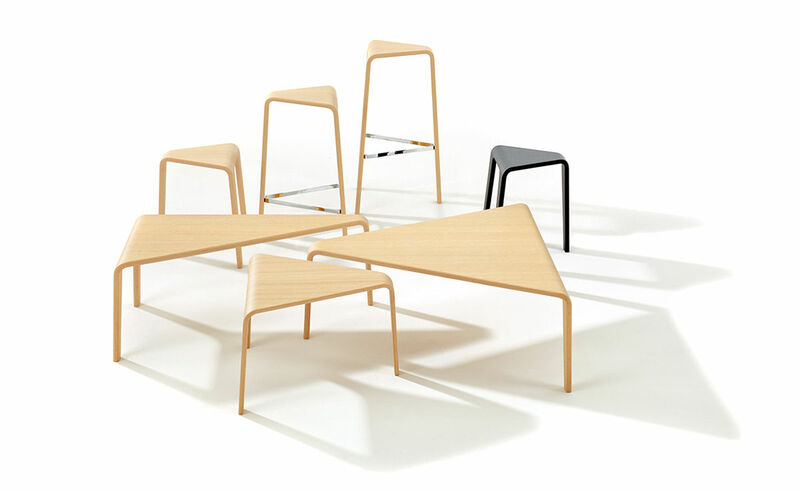 Triangular in form and modular in nature, Ply is a system of low tables and stools rendered in fluid lines of wood. 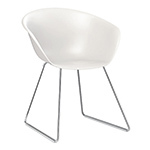 Engineered to create a continuous line from top through legs, its reduced silhouette and warm material complement its dynamic form. 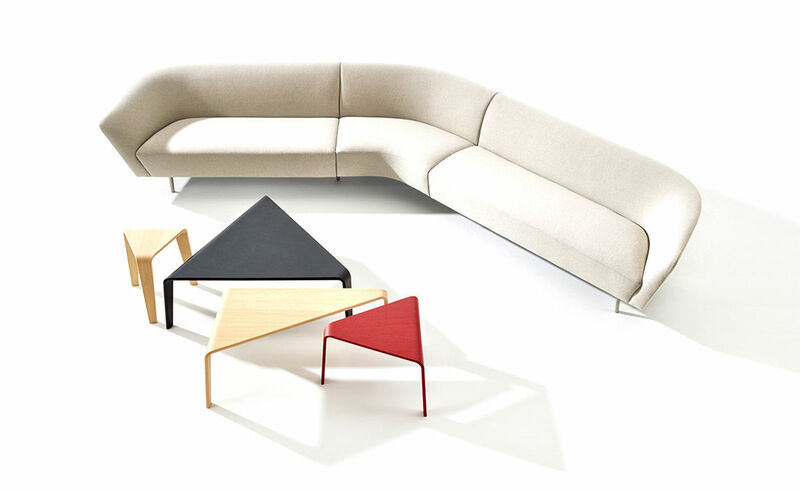 Alone or in groups, Ply's playful geometry of surfaces is like the game of Tangram, shape and color work together to create open compositions. 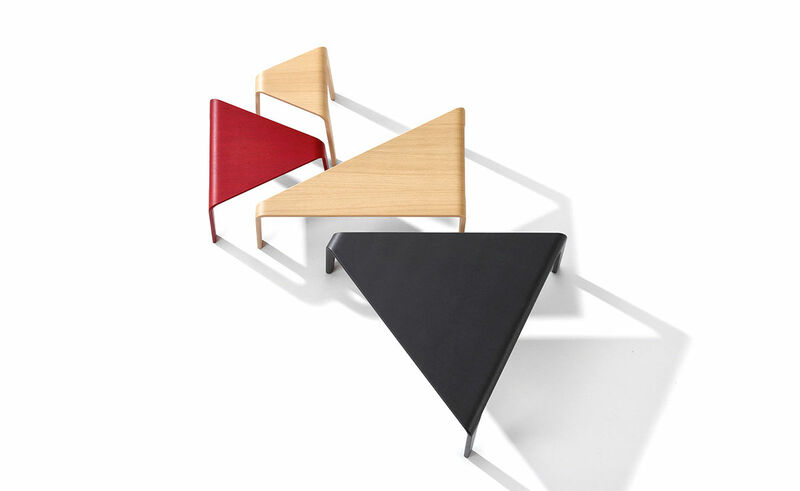 The collection is available in different sizes and heights in oak, black and red finishes. 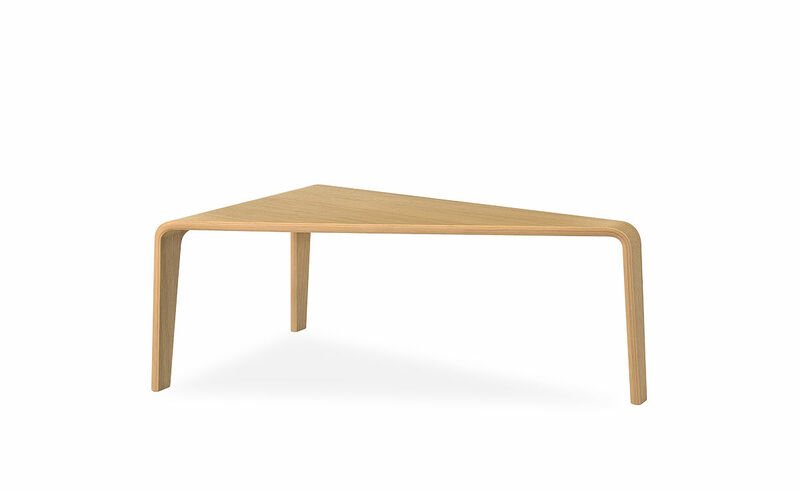 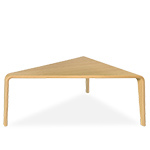 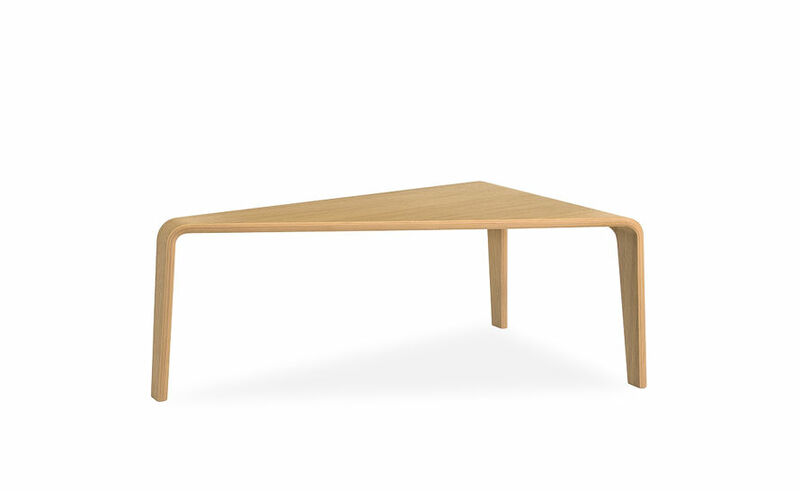 The Ply curved plywood low table is features a three leg base, available in natural oak, black or red finishes. 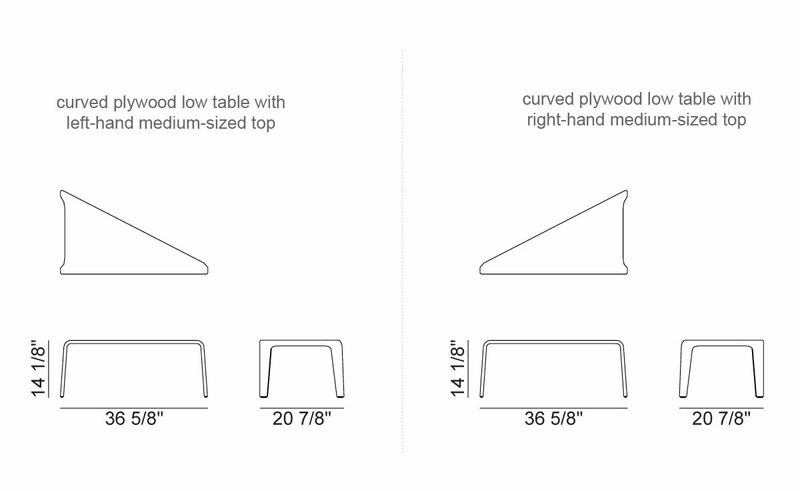 It can be specified with either a left or right hand angle (please see line drawing for details). 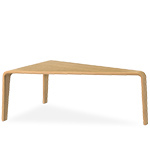 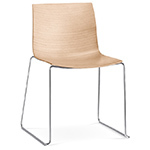 It is provided with glides with felt inserts for wood floors. 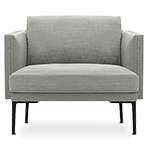 Please call the hive showroom with any questions: 1-866-663-4483. 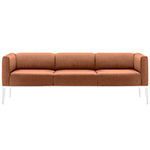 $955.00 + free shipping in the continental U.S.